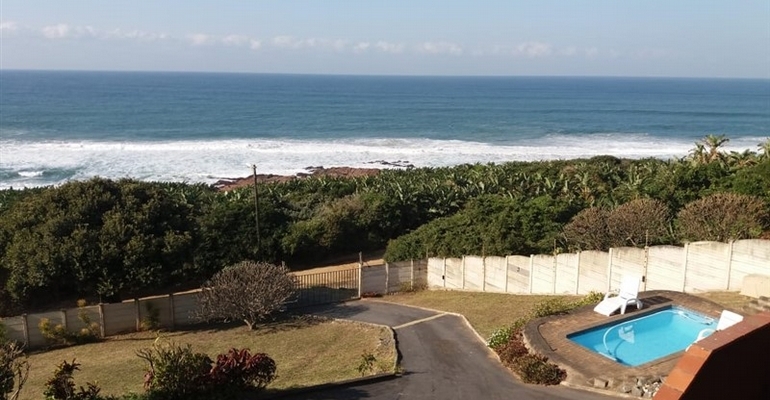 This Beautiful Home is just a 10m walk from a Private Beach and is situated in Hibberdene on the South Coast of Kwa-Zulu Natal. This holiday house has 4 bedrooms, 3 bathrooms and can accommodate up to 10 guests. The house is kept safe with an electric fence, alarm system and automated sliding gate. The lovely private veranda with built in braai, swimming pool and spacious garden is pet friendly. The kitchen is fully equipped and has a washing machine. DSTV is available at an additional charge. It is only 1.2km drive to the main beach and shops.